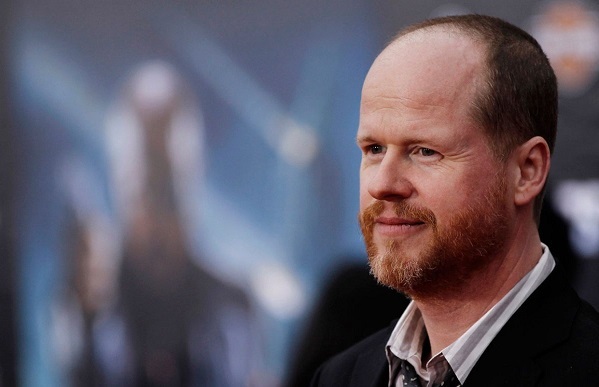 Home / Aquaman / Batman / Cyborg / Joss-Whedon / Justice-League-Movie / JusticeLeague / Movies / News / superheroes / Superman / WonderWoman / Zack-Snyder / Justice League: Did WB Confirm Joss Whedon Made Major Changes? Justice League: Did WB Confirm Joss Whedon Made Major Changes? Does Joss Whedon's Justice League (2017) writing credit mean he's changed the movie? There haven't been too many details about the how many changes have been made since Avengers director Joss Whedon took over for post-production on the next DCEU movie. Zack Snyder had to step away from filming to deal with the death of his daughter. Since then, there have been reshoots scheduled and actors have been called back to shoot scenes for the movie. Warner Bros. has sent out a 2017 Fall Movie Preview to the press and Batman-News pointed out it says Joss Whedon has been given co-writing credit. It lists the story by Chris Terrio & Zack Snyder and the screenplay by Chris Terrio and Joss Whedon. Whedon isn't listed as a director yet. But we'll have to wait to find out. While some have speculated that Joss Whedon is only making minor changes the writing credit shows his work is extensive. He's contributing more than 50% to the original script. To explain why you have to go back to the Writers Guild of America (WGA) rules. According to the Theatrical Credits Procedures Guide (SCM, Sections III.B.4.a. and III.C.3) in the case of an original screenplay, the first writer must contribute more than 33% of the screenplay to receive "screenplay by" credit. Subsequent writers must contribute 50% of the screenplay to receive "screenplay by" credit. The only exception is when the writing credit is combined with the credit to the director and/or the producer. Joss Whedon's listed as a co-writer and not a co-director. Whedon's not a producer. That means his writing credit shows he's contributed more than 50% to the original script. Whedon is well-known in the industry as a script doctor. Zack Snyder originally called him in to add additional scenes. Back when they made the announcement they said there weren't going to be story or tone changes. "The directing is minimal and it has to adhere to the style and tone and the template that Zack set," says Warner Bros. Pictures president Toby Emmerich. "We’re not introducing any new characters. It’s the same characters in some new scenes. He’s handing the baton to Joss, but the course has really been set by Zack. I still believe that despite this tragedy, we’ll still end up with a great movie." What do you think about Whedon writing new scenes for Justice League? Do you think we should be worried or happy he's making big changes? Comparing BvS to The Avengers I think you'd have to say it's a good thing. Though with less than 3 months to go it seems they're cutting it close.